Providing information in class rooms, lecture theatres, hallways or meeting areas can keep staff, students and guests informed about academic or extra-curricular activities. Digital Signage provides an up to date, engaging and efficient new alternative to delivering this information, replacing the traditional cluttered notice boards. Digital signage networks can pinpoint a particular message to a targeted audience according to the screen location. Deliver a notice to History students in their faculty building or distribute an emergency announcement to the entire campus. Schedule time sensitive content or play on demand training material to a class. Digital signage provides a communication channel to a widely dispersed audience. 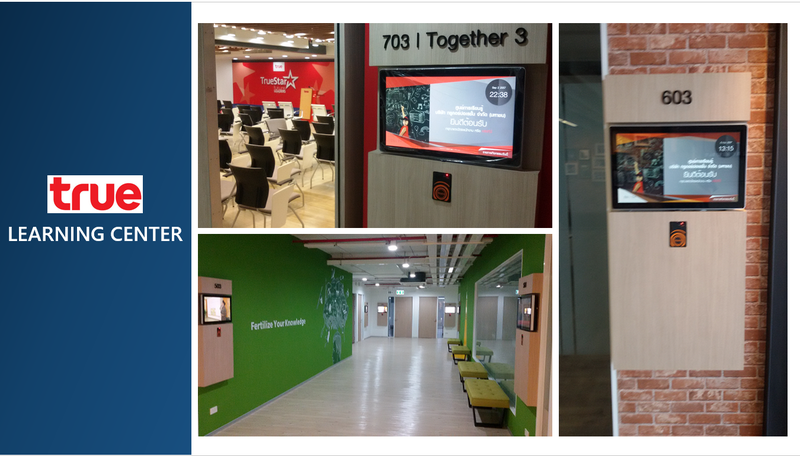 Ryarc helps educational institutes to deploy affordable Digital signage, campus wide audio and screensaver management systems to promote cost effective green communication network. The Academic version is provided at a discounted special price to educational institutions and free to students and faculty of the institutes using CampaignManager on their campus. Ryarc CampaignManager is being used by number of leading educational institutes across the world to improve communication with their students, faculty and visitors be it Notice Boards, Content on demand, Interactive kiosks, staff training, donor recognition, emergency messaging, cafeteria displays or for student projects. What message will each screen deliver and where are they located? Deliver clear and immediate instructions via digital screens. Promote third party products and services. Reduce printing and distribution costs.